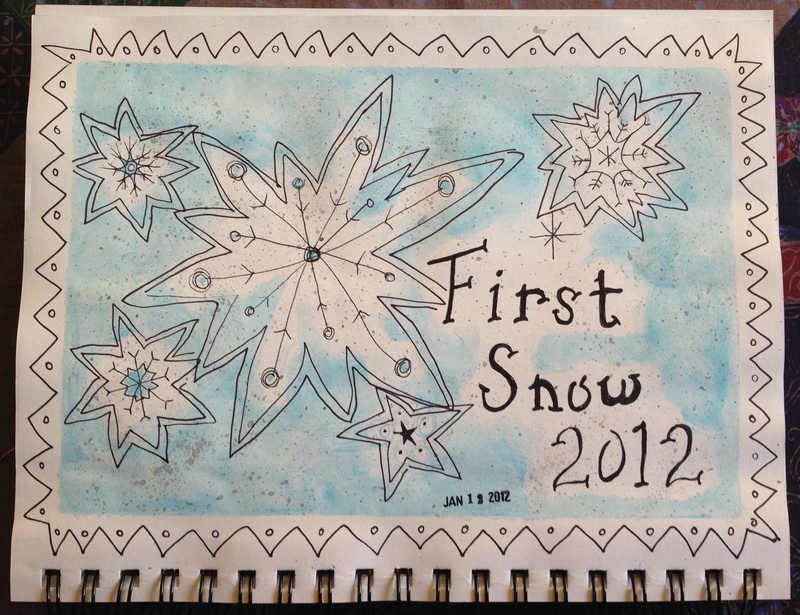 So far, I am managing to keep up in my art journal with some cool pages. I enjoyed a girls’ day out with my mom, which was great fun, so that was on my mind for this first illustration. 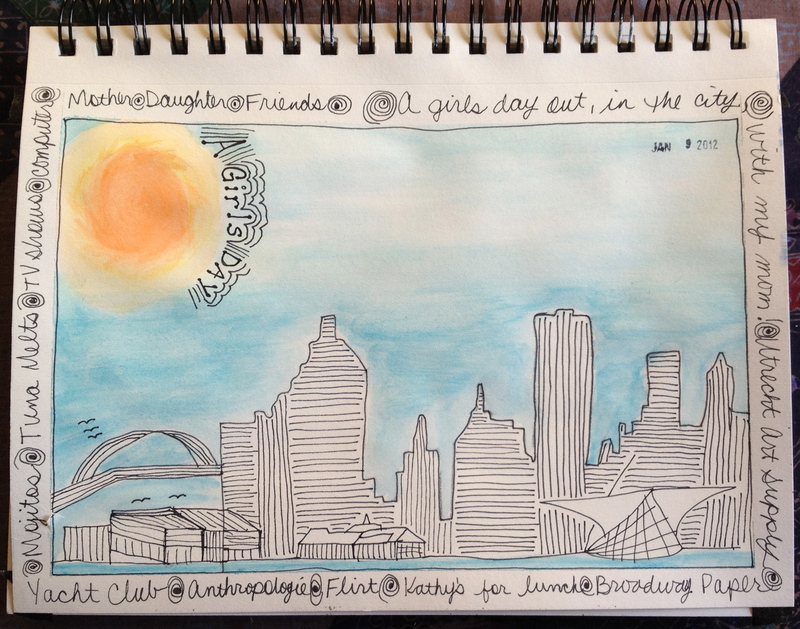 I did a rough sketch of a skyline, painted a darkening sky in the background with a full moon rising, and journaled all the fun things we did in the outer border. We got our first snow storm of the 2012 winter season later in the week, so I illustrated this page page with that on my mind. We got five inches of snow, so it was quite a lovely scene. In addition to my semester of four graphic design classes, I am taking this fabulous online sketchbook class that I’m really excited for, so I’m hoping to learn a lot more and continue to practice my drawing and illustration techniques. You’ll be a busy girl! Great cards! I like your sketches. i admire even more your diligence. I need something to keep me on it. I go OK for a bit, then I slide . . . the online class sounds like a good idea! Hi Terri! Your art journal and drawings are wonderful! I love water colours and it’s beautiful with the black drawings! I’m happy for you to be able to join that class! I wish I had time for everything I want to do! I want to ditto what Shelly said! Great job. I would not be able to keep up with that. I’ve tried. I admire you very much! What a special way to remember your day out. Love the designs. Yopur artwork is just amazing. Loving seeing what you capture. Love your cards for the week! The class looks like it will be a lot of fun! It’s really inspiring to work along with others doing the same thing! I really like these pages. The drawings and color. Blue is beautiful!